Reinforced for carrying copper pipes, this front end cap is designed to ensure your copper pipes (up to a total weight of 15kgs/33lbs), stay secure in your conduit. 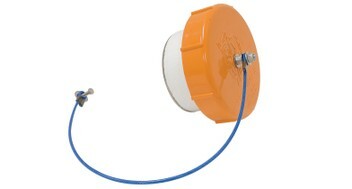 When braking suddenly, this Conduit End Cap will prevent your piping from spilling out over the road. Made from injection moulded PVC, the BCW-C has a metal reinforced high density foam core. Secure the End Cap onto the front of your conduit, securing the wire trace onto the hex bolt of the conduit tube to prevent loss.